Have you seen the Banner in a Jar post on the CTMH Make It From Your Heart blog post from Monday? If not, keep reading or hop on over to the blog then come back! This is a banner in a jar to either give to a friend or make for yourself. You can give it as an easy to assemble gift or make it yourself. It's so adorable, I'm having a workshop for it. No jar required! I designed my own banner inspired by the one above in Cricut Design Space for my Cricut Explore. 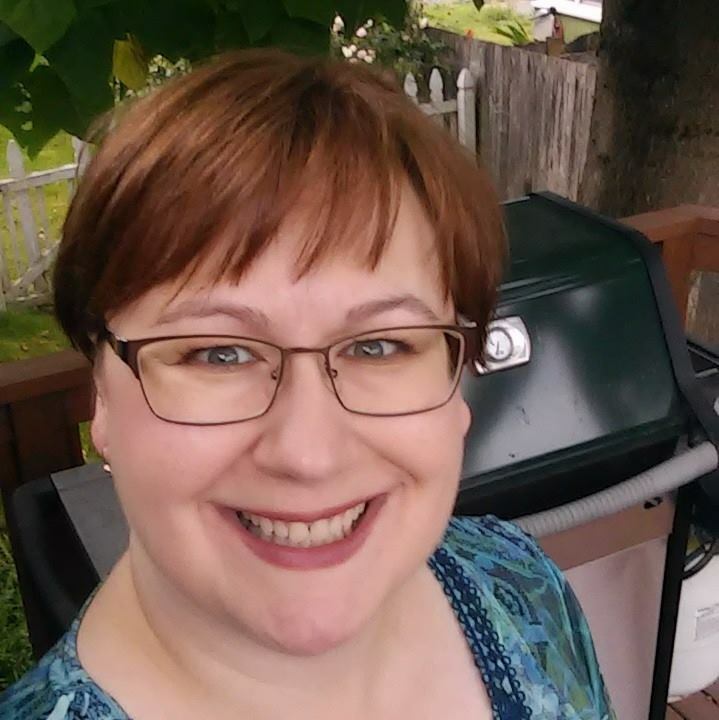 If you have the Artiste & Artistry Cricut Cartridges, you can receive my files for free with any $10 purchase from my website. My banner with paper embellishments $12 for a single & $20 for two banners. Single Kit $12 super cute and easy to assemble. All accents are paper. If you'd like to make the CTMH banner, I can add a package of Penelope Complements for $8. To order your kit, contact me or leave me a comment and I'll send you a PayPal invoice. To ship a kit, I'll add $3 to cover shipping. Kit orders received by March 23 will be available to pick up or create at my banner workshop April 1st at 7pm. If ordering after March 23rd, kits will be ordered and shipped in approximately 10 days after I receive your payment. Come & create your banner on Friday, April 1 at 7pm. This is a great mother-daughter project. When you RSVP let me know how many people are coming so I can plan seating. RSVP with payment needed by 3/23 to ensure supplies for your it are available. Make a purchase from my website of $10+ and I'll email the Cricut Design Space files & photos for this banners to you as a thank you! *You will need the Artbooking & Artiste Cricut Cartridges to use this file. 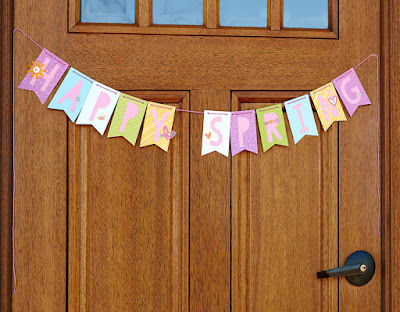 While there's no stamping on this banner, don't forget about Stamaganza! Buy 2 stamp sets and get one free, only in the month of March! We are RETIRING a record number of stamps this year. This event is a great way to get them before they're gone! 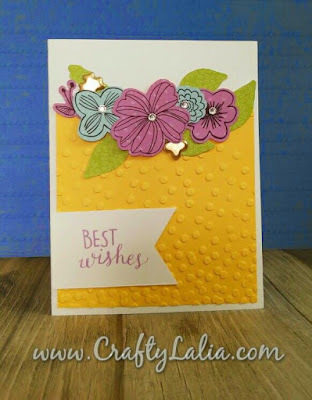 Spring time wishes card & Stampaganza! 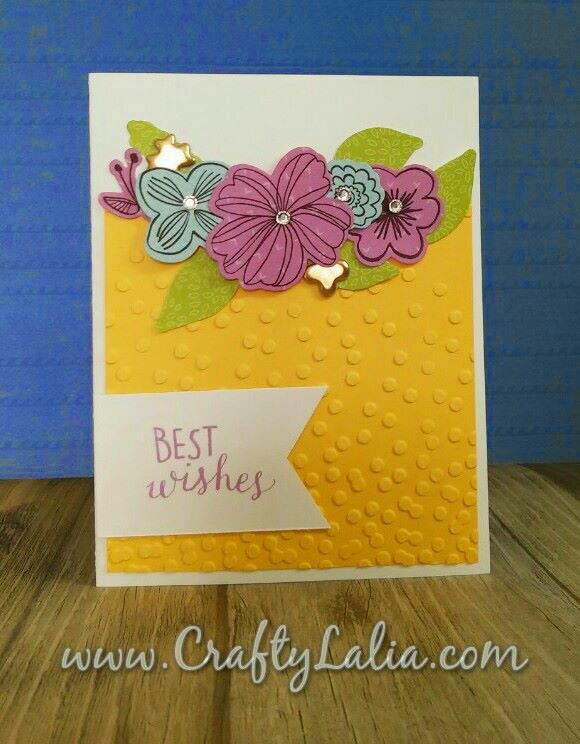 Here's a card I created with the new Springtime Wishes stamp set and matching Thin Cuts. Yes, we now have metal dies that you can use in your Big Shot or Cuttlebug! Don't worry, our Cricut cartridges are not going away. I used the card on the front cover of our new Seasonal Expressions catalog as my inspiration. Have you checked it out yet? Items in this mini-Idea Book are only available for 2 more months. This includes the stamps! These are the matching dies! They come in the same type of envelope as our stamps. The package includes a magnetic sheet so they don't get lost. We also have brand new gold Treasured Puffies. They're self-stick little treasures of gold and are great for cards! Did you see them on my card? You can also get free stamps this month!